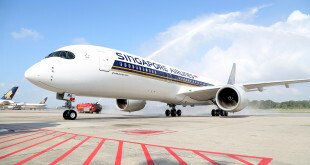 Singapore Airlines may be suffering its worst losses since being listed; it may have cut the salary of its CEO by 20%; staff are feeling the heat; pilots are put on long leave; but the pampering of its premium passengers is untouched. After all premium passengers still account for almost $4.65 billion in revenues for the carrier which translates to 40%. 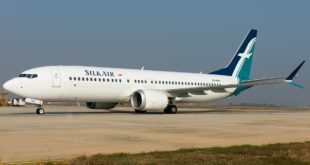 The carrier won Skytrax’s best first class award this year along with best airline and best international first class by OAG. SQ spends over $8 million annually on second growth Bordeaux wines and Dom Perignon and Krug Grand Cuvee champagne which it offers its first class and Suites passengers. Business class passengers sip Piper-Heidseick Brut Réserve champagne. 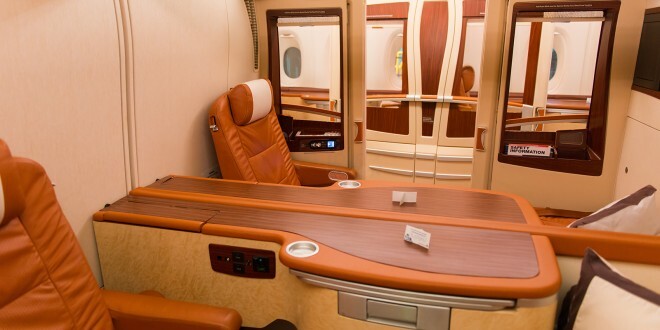 The carrier won Skytrax’s best first class award this year along with best international first class by OAG. Apart from the elaborate menu which features Petrossian Inc. white sturgeon caviar, Singapore Airlines has a meal offering called Book The Cook. Suites, first and business class passengers can order their main course in advance. Insider tip — in case you find something more appealing in the regular in-flight menu, the ever accommodating crew will happily oblige your change. For children in the two to eleven year age group, travelling in Suites, First and Business Class, Singapore Airlines offers a similar advance selection option called Yummy! which offers kiddie goodies like burgers, spaghetti and meatballs, fried rice, fish fingers, macaroni and cheese, omelettes, lasagne, etc. The full menu of options is here. During my very frequent travels with Singapore Airlines, I found that many passengers who were not frequent flyers with the airline, non-regular did not know of this Book The Cook offering. 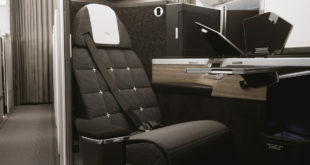 So I decided to write this article with the intent of helping them enjoy the full premium experience with the airline. Incidentally, Singapore Airlines also has one of the largest variety of special meals (medical, child/infant, religious, etc.) I have seen in all my four million miles of travels. It is one of the few airlines which offers a no-carb meal, ideal for the Atkins diet followers. Hainanese chicken rice on Singapore Airlines Book the cook special pre-order service. The full menu of Book The Cook is here. Hope you enjoy. My particular favourites reflecting my years in Texas and Singapore — the rib eye steak and the Singapore chicken rice. Remember to mix the chilli, garlic and soy sauce together before dipping the chicken in it, just like native Singaporeans do it. Bon voyage and bon appetit.